ARKit is a company that specializes in prefabricated architecture solutions. What they do is create modular structures in a factory and then assemble them all on site. 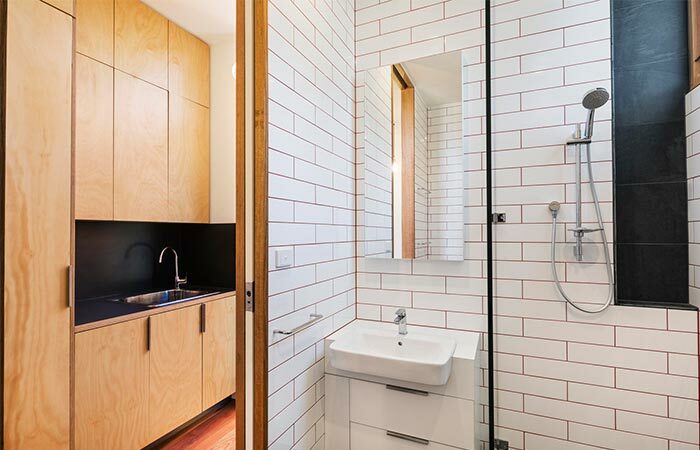 Light House is one of their projects, located in Aireys Inlet, Australia, next to the coast. Light House is a one-story house with two bedrooms. The idea was for it to serve as a holiday family house, so it has enough room for a family of six. It’s crafted from environmentally friendly materials and uses many different types of wood. 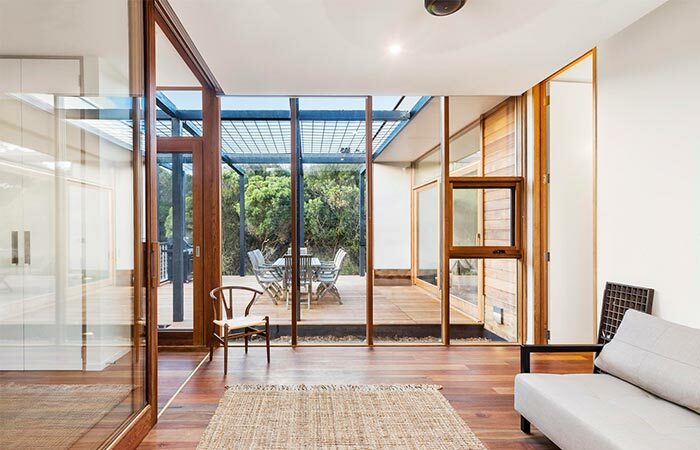 The exterior walls are made from western red cedar, kitchen from plywood, floors from timber and decks from pergola. 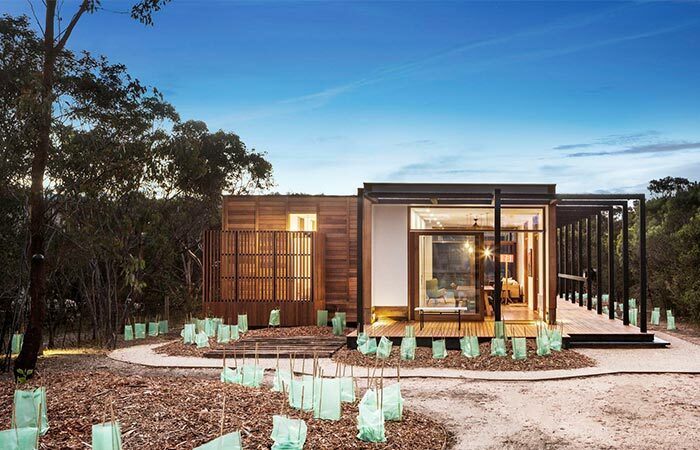 Light House is a prefabricated family beach house in Aireys Inlet, Australia. The house itself features a lot of natural light, due to the open design. Besides the bedrooms, there’s one bathroom, living room, dining area and a linear kitchen. The dining table is large, so it can accommodate a bigger group of people. 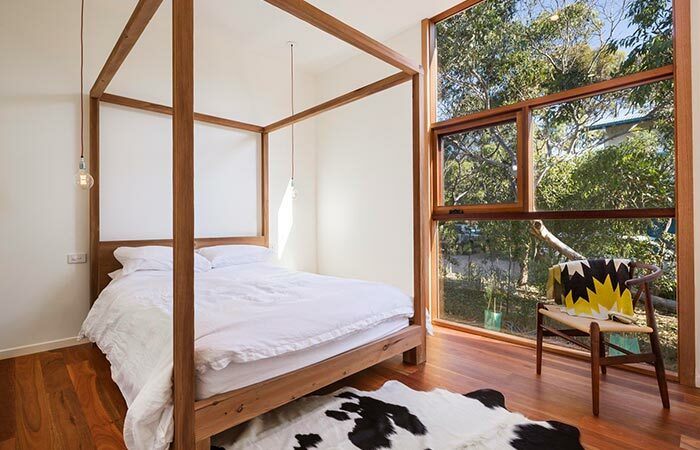 This house has plenty of natural light and incorporates different types of wood in its structure. Light House has two large decks, an outdoor shower and is large enough to fit a family of six. Light House connects outdoors and indoors with two large decks. Because it’s near the beach, there’s a nice outdoor shower and a secondary entrance. This is very handy for when you’re coming back from the beach, you can wash off. The master bedroom with big windows. Because of all the wood, the interior gives off a warm atmosphere. 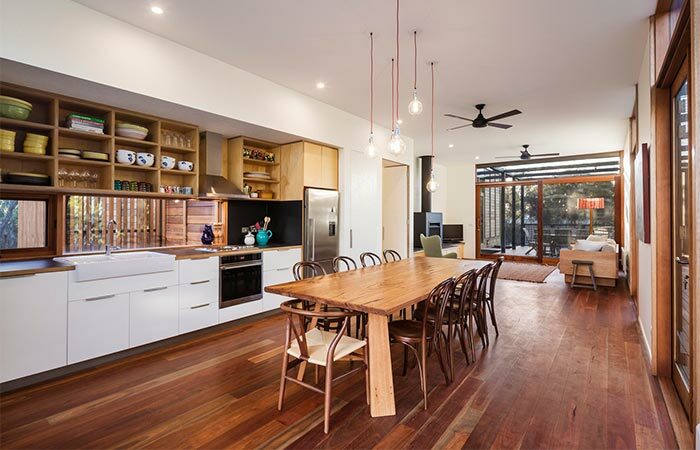 Along with all the natural light, this house is a perfect family beach house. The interior is very elegant, with a linear white kitchen, hanging lights, a central fireplace and nice white colored walls. 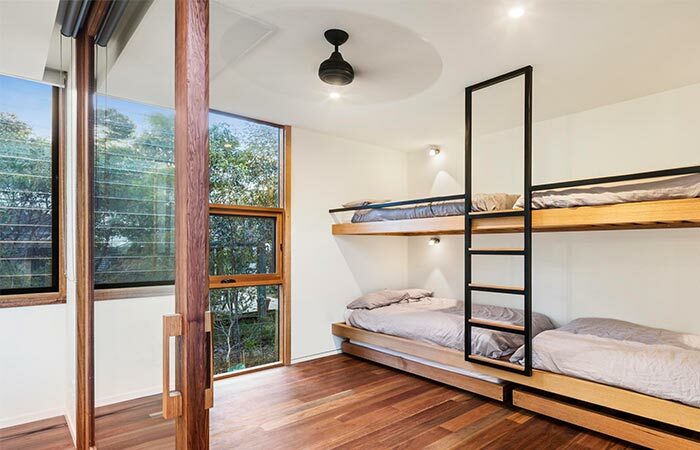 Another bedroom with four bunk beds. The bathroom is very elegant and simple looking.